Is GM Dragging its Feet? Three Times the Company Has Sought to Delay or Prevent a Massive Recall of Potentially Deadly GM Takata Airbags. Is This Just More Corporate Greed or Are the Airbags Really Safe? Years of foot dragging by the big automakers means millions of Americas remain at risk of dying or being seriously injured in vehicles equipped with Takata airbags. Our lawyers have been in the trenches fighting Volkswagen, Audi, GM, Chrysler, Jeep, Mercedes and others over their use of defective airbags. As of November 2017, 35 million cars had been recalled because they contained dangerous airbag inflators manufactured by Takata. The government says that the metal canisters that hold the airbag can explode with such force that they become a grenade. Well over 100 people have been maimed or seriously injured and 21 people are believed to have been killed by these airbags. Because of an unstable propellant, high humidity or heat can cause the propellant to explode with far more force than is necessary to inflate the airbags. That is why regulators say these life saving airbags can become deadly grenades. The metal shards from the canister can shred both the airbag itself (rendering it useless) and anyone sitting in the front of the car. Since November, an additional 3.3 million vehicles have been recalled. The government estimates that by the time the recalls are complete, approximately 70 million vehicles will be affected. Despite knowing for years that these airbags were defective, tens of millions of cars have yet to receive new airbags as part of the recall program. Honda was the first company to act. Some 12 million Hondas and Acuras have already been recalled. The company is trying to first fix cars that are driven in high humidity, high heat areas. Scientific evaluations show that this weather combination can accelerate the breakdown of the already unstable propellant. So who is the worst offender? We thought it was Volkswagen which continued to install defective Takata airbags through last year even though motorists were dropping like flies. In the race to the bottom, however, GM appears to have taken the title of least responsible automaker. Their greed knows no limits. Recent SEC filings indicate that GM is actively fighting the National Highway Traffic Safety Administration (NHTSA) and trying to avoid additional recalls. What is at stake is a $1 billion recall cost for GM versus the lives of over 6.8 million people. The cost to fix an airbag on a GM truck or SUV is about $147. Apparently, our lives aren’t worth that much. GM is willing to take the chance that only a few people might die. The cost of settling any death lawsuits would be worth less than a $1 billion. That is some cold-hearted math. We recall the exploding GM gas tanks in the 1990’s and the incident where a young boy was burned to death in front of his parents after the vehicle they were riding in was lightly tapped in the rear. The cost to fix the gas tank? $2.20. A mere two bucks would probably have saved that boy and many others. The GM exploding gas tank incidents were in the 1980’s but GM doesn’t seem to have grown any more responsible. GM Takata airbags are the target of an NHTSA recall investigation. GM disclosed in an SEC filing that three times in the last three years they have petitioned the government to avoid recalls. The mainstream media missed the story but we didn’t. GM suggests that Uncle Sam wants to recall 6.8 million GM trucks and SUVs made between 2007 and 2011. The reason? GM Takata airbags. GM says it petitioned Transportation Department officials on January 9th for a third time hoping to avoid a recall. According to their petition, they claim the front passenger inflators were custom-made for its trucks by Takata with bigger vents and stronger steel end caps than other similar system. They also say that no truck inflators have exploded like grenades either in real highway use or in extensive laboratory testing. Of course, Takata got caught fudging similar lab data and covering up the real results. What is most telling in this debate is that Takata claims the GM airbags are defective. That’s right, the company who made the airbags and would best know about their safety believes the GM Takata airbags are defective. Takata has nothing to lose at this point by lying. The company has already been criminally convicted and is now in bankruptcy. What remains to be seen is the list of 6,800,000 additional vehicles wants to recall. Chances are good that if you are driving an older model (2007 to 2011) GM SUV or pick up your vehicle is equipped with airbags that both Takata and the government says may be dangerous. Do we really need to wait before another child or motorists is killed before we find out who is right? Do You Own A GM Truck or SUV with a GM Takata Airbag? If you own a one of the recalled GM vehicles and the airbag inflators have not yet been replaced, be very careful. If you are in a high-risk zone, consider parking the vehicle until it can be fixed. The NHTSA has said the following states are in the highest risk zone: Alabama, California, Florida, Georgia, Hawaii, Louisiana, Mississippi, South Carolina, Texas, Puerto Rico, American Samoa, Guam, and the U.S. Virgin Islands. Your next step should be to visit our Takata Claim Center webpage for more information about your legal rights and what you can do to protect yourself. If you suffered catastrophic injuries because of an exploding airbag, see our Takata airbag injury site. If the accident was recent, take all steps to preserve the vehicle. Proving that Takata was the reason for the injuries if the airbags remain intact. Unfortunately, it difficult to prove a defective airbag is at fault when the airbag was long thrown in a scrap yard. If your GM vehicle isn’t on the above list, that could change at any time. 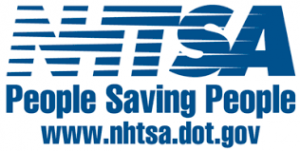 We urge you to frequently check the NHTSA website. Their recall list is updated daily. Thus far GM has avoided it day of reckoning but it can’t do so forever. We worry that there are millions of GM pickup trucks and SUVs that should be parked until replacement airbag inflators become available. Why Sue GM? Isn’t Takata Responsible for This Mess? We believe that the automakers knew for years that Takata airbags were dangerous. At this point, the car manufacturers are the only deep pocket left to sue. Takata shut its doors in June of last year. A bankruptcy judge has approved the sale of the company’s assets. The only people left with money are the car companies. We have already initiated several national class actions against several automakers for the costs to consumers of owning a car with defective airbags and no replacement parts yet available. Several other class actions have already been settled and even more being considered. GM is responsible for the parts put in their vehicles. Even if they didn’t know at first that the airbag inflators used in their cars were dangerous, they certainly did at least a decade ago. At that point they had an obligation to promptly repair their vehicles. GM finally got wise in 2015 and stopped using GM Takata airbag inflators. That isn’t much consolation for millions of Americans who get behind the wheel each day wondering if their car is safe to drive. Worse, because GM keeps appealing recall orders, millions of Americans don’t even know that both Takata and the government believe those vehicles are at risk. GM Vehicle Owner on Our Class Action List: Visit our Takata Airbag Claim Center page. Other GM Vehicle Owners Subject to an Existing Recall: Follow the instructions of the NHTSA and the GM. The NHTSA has a comprehensive recall page with specific information on GM Takata equipped vehicles.